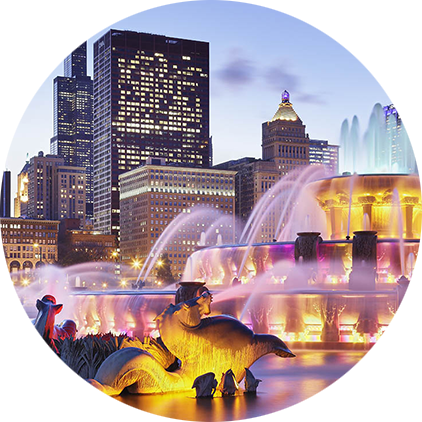 Influence Relocation Services, in partnership with Southwestern Real Estate, invites you to enjoy a sneak peek into some of Chicago's finest features. We’ve got an insider’s perspective on all Chicago has to offer and we love where we live. Metro Chicago is an amazing place to work, live and play. As the third-largest metropolitan area in the United States, Chicago is an international hub for business, transportation, and technology. The city is the headquarters of more than 400 major corporations and is currently ranked the most diverse economy in the nation. In addition to its rich economy, Chicago is home to the beautiful Millennium Park, Chicago River, Lake Michigan, and stunning architecture and street art. Few cities, if any, can compete with Chicago’s love and dedication to sports. With a professional team in each of America’s five major sports leagues, Chicago is one of the best sports cities in the nation. Chicago’s rich and diverse food scene is a paradise for both residents and visitors. Its stunning skyline, 26-mile lakefront and world-class museums, theaters and festivals are only some of the highlights that make Chicago an ideal destination. 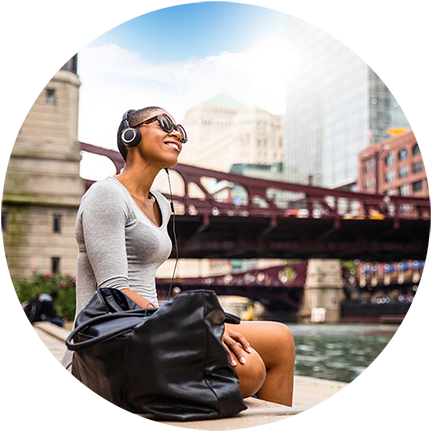 You can learn more about everything Chicago has to offer in our exclusive Influence Relocation Services Insider’s Guide. Our settling-in services concierge can also help you get access to community information, entertainment options and local resources. Whether you’re moving across town or across the country, our exceptional real estate agents are here to help.